An insurgent almost matches a front-runner in fundraising, but still calls for an amendment to get big money out of politics. There is a measure of irony in the sudden attention to Bernie Sanders—long and loud in his criticism of big money in politics—as a fundraising virtuoso. But that was the circumstance of the Vermont senator as his 2016 presidential campaign, which late Wednesday reported raising $26 million in the third quarter of 2015–just $2 million less than the $28 million reported by the campaign of Democratic front-runner Hillary Clinton. Small donors are helping Sanders keep pace with Clinton. 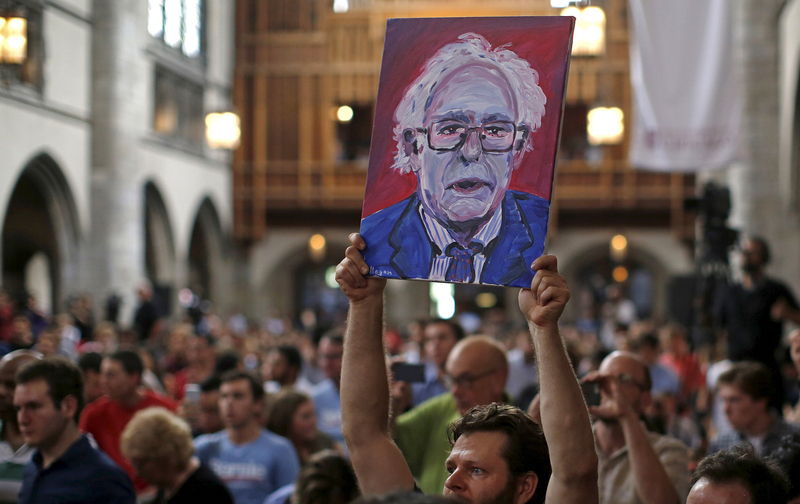 The Sanders campaign’s approach to fund-raising suggests an alternative model for crowdfunding presidential campaigns. He has attracted 1.3 million small donations (from 650,000 individual donors) and, in the context of contemporary politics, they really are small: In the previous quarter, the senator’s average donation was $33.51. Ninety-nine percent of the donations came in amounts under $250. But one candidate’s ability to do things differently does not amount to a repair of a broken system. In fact, it can foster the fantasy that it is possible to address the crisis without making necessary reforms. Reforms remain as necessary as ever. Thus, while the headlines about Sanders this week will focus on his current fundraising, it is more important that earlier this year—with far less attention—he reintroduced a constitutional amendment to effectively overturn US Supreme Court decisions that have struck down limits on campaign spending by corporations and the wealthiest donors. Those decisions have ushered in an era of money-drenched politics in which candidates spend too much time raising money, in which they raise too much money and in which they spend too much money. And in which shadowy networks of special-interest groups and billionaires flood the process with even more money.